Review: Given his previously prolific work rate, Martyn has been surprisingly quiet of late, with last year's digital-only GL Outtakes mini-album being his only release of note since 2015. This first outing on Dolly Dubs, then, is big news. 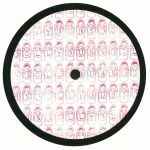 Happily, his grasp of dancefloor dynamics remains in tact, with all three tracks sounding like peak-time smashers in waiting. 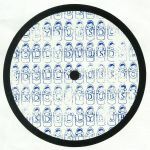 He predictably hits the ground running on A-side "41w", a mutant roller rich in mind-altering sub-bass, hybrid electro/post dubstep rhythms and dub-wise electronics. Flip for the slack-tuned breakbeats, rumbling (not to mentioned relentless) bass and creepy IDM electronics of "Body Music", not to mention the crunchy, surprisingly bouncy and melodious metallic techno of "Angels".